In Part I of this post, I discussed how the court-appointed lawyer process works and how to find a private lawyer to represent you in a white collar case. Now we’ll get into the nuts and bolts of picking the right lawyer and how exactly to pay for her. If you can, talk to or meet with two or more possible lawyers. At this point, you are interviewing the lawyer. You should ask about her approach to your kind of case, whether she has handled this kind of case before and how much she thinks it will cost. During the interview, the prospective lawyer should not give you any legal advice or predictions about how your case will proceed. That’s because you haven’t hired her yet. You want to be sure you like the lawyer you hire. Hiring the loudest, meanest, take-no-prisoners lawyer may work for some people. It doesn’t work for everyone. Most white collar cases last for years. This will probably be the most stressful time of your life. You will spend a lot of time with your lawyer. He will be your cheerleader and shrink, as well as counsel. Choose wisely. 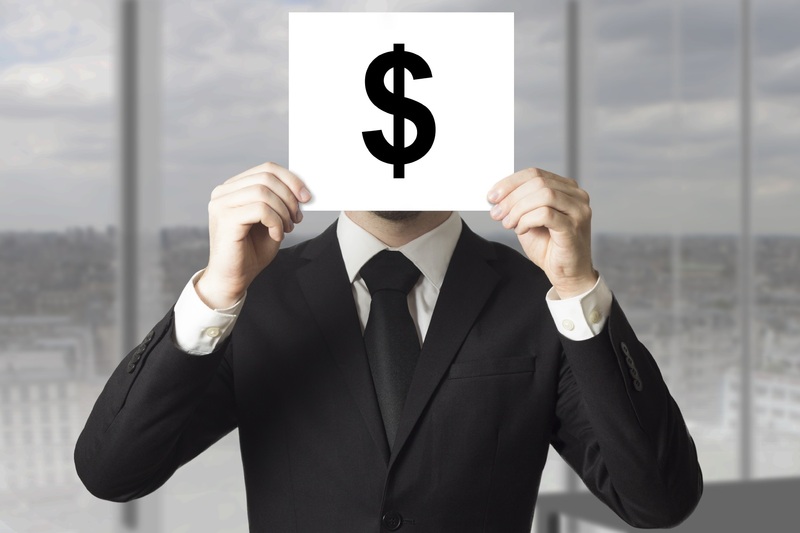 You want to be sure your lawyer has substantial, white collar criminal defense experience. White collar experience is different from other criminal defense experience. Let me put it this way: I wouldn’t handle a DUI or an aggravated assault case; I don’t know how. And a lawyer who handles all DUI or aggravated assault cases likely doesn’t have the chops to handle your bank or tax fraud case. They are both criminal cases but involve very different approaches and skill sets. Some lawyers do all kinds of criminal cases–white collar and “street crime.” This is fine. You don’t need someone who handles white collar cases exclusively, only someone who has enough experience to handle a white collar case well. You should always ask about fees during the very first meeting or telephone call—both the lawyer’s hourly rates and how much the upfront retainer will be. Do not be embarrassed about asking; this is a critical part of the relationship between you and your lawyer. I talk about fees during the very first phone call. It’s only fair to let someone know how much I cost and to find out if he can afford to hire me. There is no need to be embarrassed if a lawyer is too expensive. I can’t afford a Maserati but that’s ok, right? The lawyer you are talking to would rather find out that you cannot afford him early in the case than the middle of trial prep. If that happens, ask for a referral to a less expensive lawyer. The lawyer you talk to should give you some estimate of total costs. This isn’t always easy, and it’s far from a science. The estimate given may depend on a number of factors: (1) do you go to trial or do you enter into a plea deal; (2) are there a lot of documents to review; (3) how many pre-trial motions will be filed; (4) is it a 3-day trial or a 3-month trial? Smaller cases are easier to estimate. Larger ones are close to impossible to estimate. Sorry, I won’t even try to answer that question. There are just too many variables. I’ve had white collar cases that have cost less than $5000 to resolve. I’ve had ones where I’ve asked for a $100,000 retainer. According to news reports, two executives separately accused of insider trading (Raj Rajartnam and Rajat Gupta) spent $40 million and $30 million, respectively, on their defenses. And they both lost. White collar cases are expensive because they are often complex and involve a lot of documents. Your lawyers will have to review documents, find and interview witnesses, negotiate with the government before indictment, engage in a lot of legal research, draft jury instructions and pre-trial motions and prepare for trial itself. This requires administrative help—secretaries, paralegals, interns–and a lot of attorney time. There can also be expenses other than attorney time on your case. For example, you may need to hire an expert witness to testify on your behalf. Your lawyers may need to use an electronic discovery database that has certain monthly charges. There may be travel to find witnesses or fees to pay an investigator to do so for you. Most white collar lawyers work on a hourly basis, meaning that you will be charged a certain amount for each hour the lawyer works on your matter. At the end of each month, you will get an invoice that lists the number of hours worked, a description of the work done, the total amount of fees and the expenses incurred on your case. It is common practice in an hourly-fee case to ask for a large deposit (or “advance retainer”) to be deposited in the attorney’s trust (or escrow or IOLTA) account. Lawyers are not asking for a retainer to be greedy. Rather, once a lawyer enters an appearance in criminal case, it can be very difficult to withdraw that appearance. The court can force the lawyer to stay on the case, even without payment. Plus, a person who is under federal indictment may have been fired from her job, may have a hard time finding another job and, if convicted, will not be able to pay at all. Over 97% of cases end with a guilty plea, so this is not a theoretical concern. It’s a reality. A large retainer is there to make sure the lawyer is not left holding the bag when the case is over. As a general matter, the retainer is deposited into the lawyer’s trust account. It stays there until it is “earned,” meaning that the lawyer has done sufficient work to withdraw it. Different jurisdictions have different rules about this process. For example, where I practice in DC, if you pay me a $50,000 retainer, I deposit it into my trust account. I cannot touch any portion of that money until it is earned. Let’s say that after month 1 of the representation, I have worked enough hours to send you an invoice for $10,000. I send you the invoice, make sure you have no questions about it, and then transfer $10,000 from my trust account to my operating account. When the money is in my operating account, it is mine to spend how I wish. If we resolve the case after one month, then I will return the remaining $40,000 to you. I didn’t earn it, so I don’t get to keep it. If after month 6, we have depleted the $50,000, then I will ask you to “replenish” the retainer to a certain level. One alternative to an hourly-rate arrangement is a flat fee. This is when the lawyer charges a set amount of money for the work. If the case is resolved quickly, the lawyer gets to keep the whole fee. If the case takes longer than expected, the client does not have to pay any more. The flat fee, like the advance retainer, is usually paid in full at the beginning of the case. Flat fees are not very common in white collar cases because of these cases’ complexity. But, if you know you plan to plead guilty and the case will be fairly short, then a flat fee is certainly possible. It is not ethical to offer contingency fee arrangements in criminal matters, so don’t even ask about it. But I don’t have enough for the initial retainer. What do I do? None of these options is easy, and none of them is any fun. But there’s no way around it. A good lawyer is expensive and the stakes are the highest they will ever be for you. There are two other possibilities to pay for a white collar lawyer. You could be indemnified by your company or you may have insurance. If the indictment arises out of your employment, there’s a chance you may be indemnified. If your employer indemnifies you, then it will pay your legal fees. There are limits to this right that are beyond the scope of this post. My advice is to have a lawyer review your employer’s corporate bylaws and your employment contract to see if you have this right. You can also request indemnification from your employer even if there is no language requiring it in the bylaws or in an employment contract. Some companies want to do the right thing and help employees who are incurring legal fees because of their work for the company. It is always worth asking about it. There’s also a small possibility that you may have insurance to pay for a white collar lawyer. For example, there is a program that allows government employees to purchase insurance that will pay a lawyer in certain circumstances. There are all sorts of limits in this situation but you can call your insurance company about it.